Would you consider trying to shop more sustainably? Earlier this year I set myself a task: to clear out all mass fashion brand names from my wardrobe by the end of the year. Surprisingly enough, I’ve stuck to my guns and am pretty on track. Rightttttt, I hear some of you thinking. Why would you set yourself such a goal? Well, in a nutshell, I wanted to create a wardrobe of unique and sustainable designer labels. Eco-friendly brands that I could feel good about buying and wearing. with my working in the fashion industry, churning out style page after style page each month, a flame seemed to sort of die within me. After a while, everything felt too mass, the love I once had for clothes and shopping wavered, and to be honest, I grew bored of seeing (and writing) about it at all. In my spare time and through different connections, I discovered a new wave of local fashion designers producing fantastic things, but many of their price points were just a bit too high for the local market to consider buying. But while they saw high price tags and unknown brand names, I saw better quality, innovation, a personal story and something original. It was totally refreshing. Wearing a beautiful mint green off-shoulder dress by KANOE, handmade ethically in Malaysia. I learnt that some labels were even handmade from scratch in Singapore, which opened my eyes, in juxtaposition, to the lack of transparency from many brands who choose to not disclose how and in what conditions their products are made in. I soon came to realise that I felt empowered by buying from labels who were transparent about where and how their clothes were made. To me, it felt like a better, more moral way to do fashion. As I’ve naturally become more interested in green living, I decided to change up my shopping habits to try and shop more mindfully across the board. It’s just a given that products that have been well made – whether it’s an organic cotton dress or a hand-finished leather clutch – tend to be sturdier and wear out less frequently. This isn’t throw away fashion, folks. We’ve all been and spent $3.99 on a t-shirt, or $19.99 on a dress, only for it to fall apart after a few wears (or worse still, in the wash.) Over it? Me too. 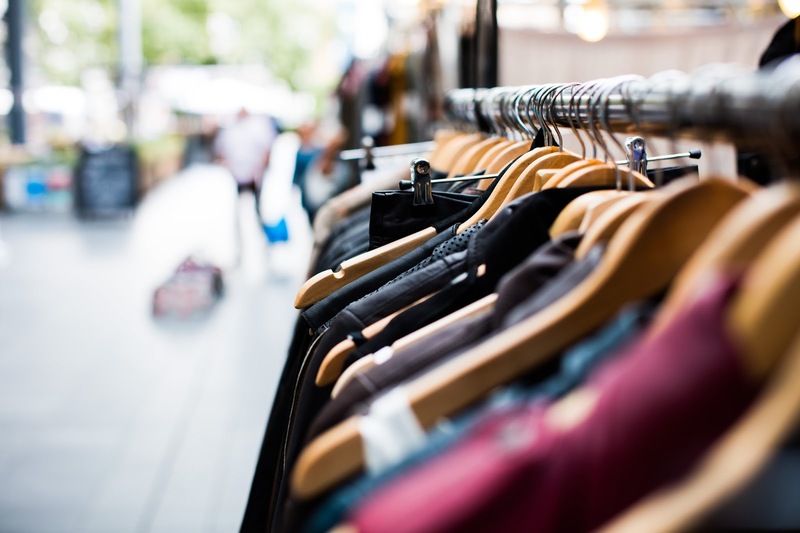 Not having fast-fashion stores like H&M, Zara and Mango, or even mid-range stores like COS at your disposal means you have a smaller pool of designers to buy from, but that just means you have to do a bit more hunting down of transparent brands you can shop from. For me, I’ve discovered local labels like MATTER, Twin Within, Yard Yarn, Baliza and Thyine to name a few, while abroad there’s labels such as Amour Vert, Everlane, JODI, Mata Traders and more. It’s a whole new world! As mentioned above, NOT buying from brands who aren’t transparent about where their clothes are produced pretty much cuts out most of your international brand names. Sprees at Zara become a thing of the past. ASOS is off limits. Primark is a no go. Actually, after reconciling myself to the end goal, I haven’t found it that hard. Yes, I’ve had one or two slips, but hey, nobodies perfect, right? Plus, I’ve found it really enjoyable looking out for new brands and independent designers who are producing cool, one of a kind or exclusive pieces. …especially if you’re with friends dragging you into stores on the weekend. It helps to reconcile yourself to the fact that not everyone is going to be on your “slow fashion” bandwagon, and you know what? That’s ok. Personally, I’ve made it a point not to force my personal shopping choices down other peoples’ throats. I’m not here to preach? Sure, I can still appreciate that gorgeous dress from Topshop. Would I buy it out of principle? No. It’s that simple. If you’re into trends, you’ll find shopping more sustainably pretty difficult at times, simply because most independent labels don’t follow seasonal trends. Rather, they have a particular aesthetic (take Everlane’s minimal and wearable basics, as an example.) To be honest, I like so many others find the concept of following trends so outdated. It’s far more flattering to wear silhouettes that suit your figure, and which you feel good wearing. I love the idea of having something a little bit exclusive with a limited production run. It feels empowering and special. It’s a thrill you just don’t get with fast-fashion. If you’ve read this because you’re considering changing up how you buy and shopping a little more consciously, then I hope you found this honest post useful. If you’ve simply stumbled upon it because it caught your eye and you thought you’d give it a glance, I hope you enjoyed the read and that it made you think! If you have any other tips on transitioning to shopping more sustainably, I’d love to hear them – please share them below in the comments! Love your blog. Thanks for a great article about sustainable clothing. You mention sustainability as "fair labour wages, non-toxic materials, ethical trade or beautiful fabrics that don't fall apart", but I'm interested in knowing what you think is the single most important trait of sustainable clothing? I run my own independent fashion label, which is currently produced in Vietnam (although we're also considering Singapore for future production). A part of our philosophy is to help out the local communities in Vietnam but when it comes to fabrics we haven't been able to source eco-friendly ones yet. Hopefully this will change moving forward. Apologies that I didn’t see your comment sooner! It’s hard to pin point a single most important trait, as many brands choose to focus on improving just a few aspects of your supply chain. From my conversations with designers, sourcing eco-friendly fabrics can be difficult. One way to change the impact on the environment is upcycling so there is far less wastage when it comes to production – one label I know Tonlé does this exceptionally well, you could check out their site. Others turn to using strictly offcuts from factories which would otherwise be disposed of.